Can you become a great guitar player without practicing for hours and hours every day? The answer is YES if you make sure you practice the right things and you keep your practice balanced. You may become a proficient player but not know enough songs, or be unable to improvise. 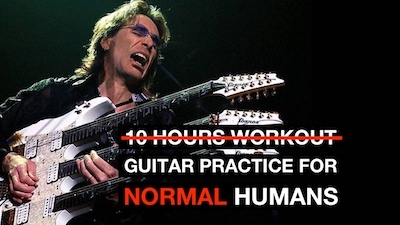 Steve Vai is famous for having a 10 hours workout (and that is a great workout!) but most of us do not have this kind of time. For some guitar is just a more or less serious hobby, and even professional guitar players may not be able to allocate 10h every day just to practice their instrument. Here I will show a super-simple and very flexible practice schedule that I use for myself and recommend to my students too. You can adapt the idea to suit your needs and your idea of what kind of guitar player you want to become (more or less technical). With this simple idea you will keep your guitar practice balanced and you will be able to steer your direction toward YOUR goals, and not simply practice whatever comes your way and hope to become good. I found that most guitar students have the most trouble knowing how to practice their theory. 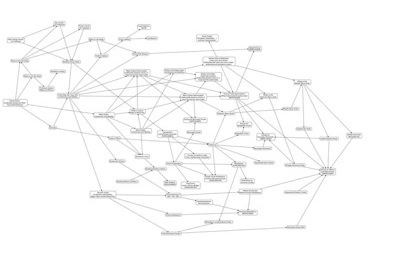 If you have no idea how to orient yourself in theory I suggest you get professional guidance - this will save you years of time and speed up your progress greatly. I suggest you get a look at those guitar theory courses that will help you implement everything you learn step-by-step... and if you need any help or have any questions do not hesitate to contact me. I'll be happy to help you.